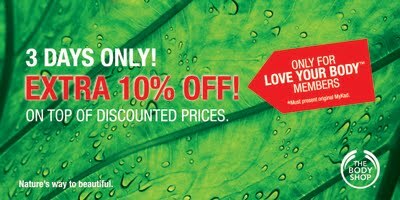 Greetings from The Body Shop West Malaysia! 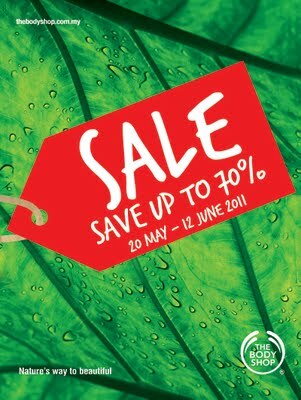 It’s that time of the year again - MAY SALE 2011! Yeay! For this year, The Body Shop May Sale would commence from 20th May and will end on the 12th June 2011. The Body Shop will be having awesome promotions and discounts. Truly something not to be missed!